$3.99 (regularly $5.99) 6/9/2016 - 6/13/2016! ESSENCE.com - Trust Us You Will Definitely Want to Follow These Steps! You Will Discover: Exciting ways to be friends and lovers too * How to argue and laugh when its over * Easy everyday romantic gestures to keep the sizzle in your relationship * Creative ways to help each other reach your dreams * And how to create your own recipe for Love and Happiness! 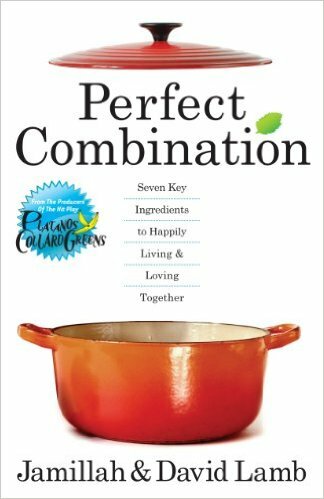 Jamillah and David Lamb, are the dynamic couple behind the hit play, Platanos Y Collard Greens. For years, they have worked side by side, 24/7, to create and build their business. And not only have they not killed each other, their love has grown stronger. Now they happily share with you their recipe for romantic success.